One of the strongest flavors available in nature is anise. Anise plant (Pimpinella anisum) is a Southern European and Mediterranean herb with a flavor reminiscent of licorice. The plant is attractive with lacy leaves and a profusion of white flowers and grows as a bushy ornamental herb. Growing anise in the herb garden provides a ready source of the seed for curries, baking and flavoring liqueurs. Anise flowers are born in umbels like Queen Anne’s Lace. 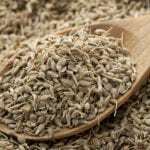 The seeds are the useful part of the plant and resemble caraway or carrot seeds. It’s easy to grow anise and the feathery leaves are borne on slightly purple stems. The plant, which grows just under 2 feet tall, requires a warm growing season of at least 120 days. Anise is widely cultivated in many European and Asian countries but has not been an important crop in the United States. Due to its delightful appearance and fragrance, there are now many gardeners who grow anise. Anise requires a fairly alkaline soil pH of 6.3 to 7.0. Anise plants need full sun and well-drained soil. Directly sow the seed into a prepared seed bed that is free of weeds, roots and other debris. Growing anise needs regular water until the plants are established and then can tolerate periods of drought. Anise plant may be harvested in August to September when the flowers go to seed. Save the seed heads in a paper bag until they dry enough for the seed to fall out of the old flowers. Keep the seeds in a cool dark location until spring sowing. 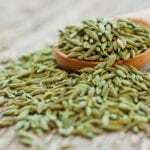 Growing anise is an easy gardening project and can provide seed for a multitude of uses. Anise seeds are small and are easier to sow with a seed syringe for indoor planting or mixed in sand for outside planting. Temperature of the soil is an important consideration for how to plant anise. Soil should be workable and 60 F./15 C. for best germination. Space the seeds in rows 2 to 3 feet apart at a rate of 12 seeds per foot. Plant the seed ½ inch deep in well cultivated soils. Water the plants after emergence twice a week until they are 6 to 8 inches high and then gradually reduce irrigation. Apply a nitrogen fertilizer prior to flowering in June to July. Anise is an herb with culinary and medicinal properties. It is a digestive aid and to help respiratory illness. Its numerous uses in food and beverage span a wide range of international cuisines. The eastern European communities have used it widely in liqueurs such as Anisette. The seeds, once crushed, yield an aromatic oil that is used in soaps, perfume and potpourris. Dry the seeds for future use in cooking and store them in a glass container with a tightly sealed lid. The many uses of the herb provide an excellent incentive to grow anise plant. Read more articles about Anise.